Mrs Dan: Which made up place are you going this week? Mrs Dan: Very funny. Where are you really going? Mrs Dan: A joke’s a joke – where are you going? Mrs Dan: MADE UP PLACE! We drove to Nonsuch Park and grabbed one of the few remaining car parking spaces before following spectral figures making their way to the start area through the heavy mist. Visibility was poor and we couldn’t see the start/finish area but people looked like runners so we followed their footsteps. 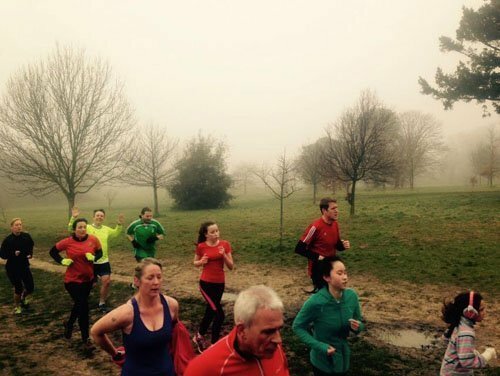 We mingled in with the waiting crowd and noticed the parkrun organised mass warm-up going on nearby. 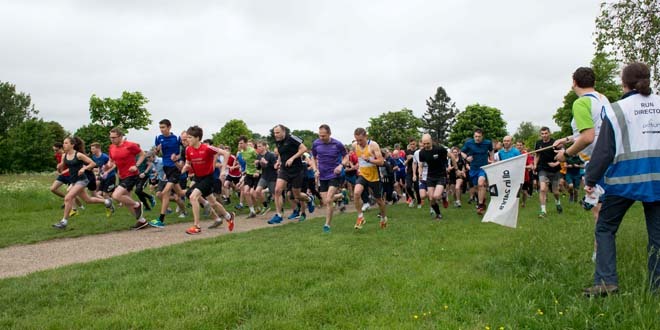 The first time we’ve seen a parkrun event warm-up outside of the junior parkrun events. We visited when the winter course was in action, which meant laps of the park. Not that I have any idea what the summer route is. Other Dan joined me for a pootle around the course with the intention to make sure that his friend didn’t lap us. Mission just about completed as the first couple of finishers sped past before the finish funnel and his friend just after we passed the funnel. Unfortunately we didn’t have time to hang around afterwards, we both had to be home and we know traffic across London is always poor after parkrun, so we didn’t get to sample what looked like a nice café.